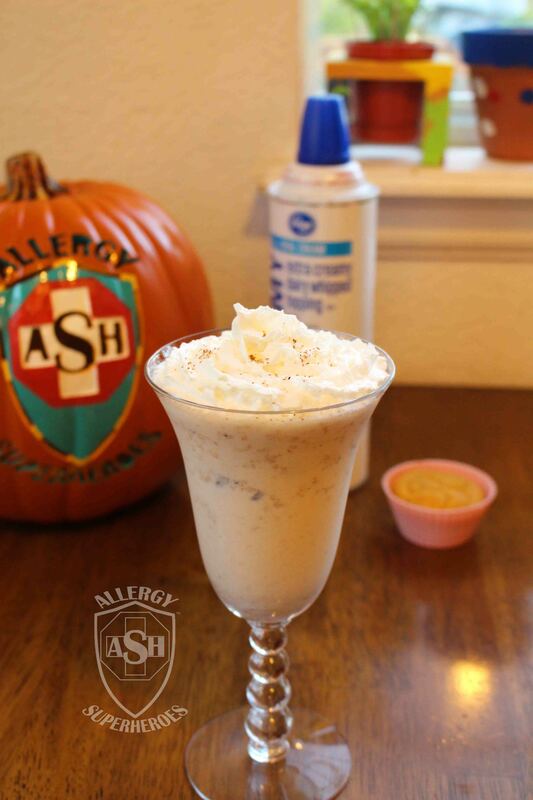 We went out for dinner the other night, and hubby was the only one of us who could order a milkshake for dessert–there was too great a risk of cross contamination for us allergic folk. The seasonal milkshakes sounded really good though, so we decided to go home and make our own milkshakes. 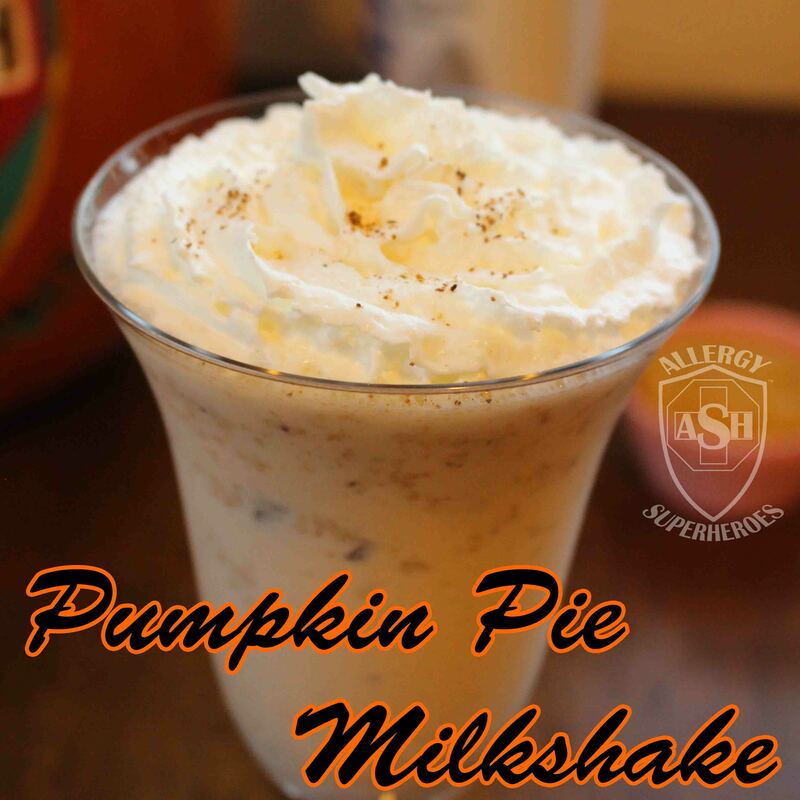 And I found that I could make a Pumpkin Pie milkshake that tasted just as good as anything you can order from a soda joint! 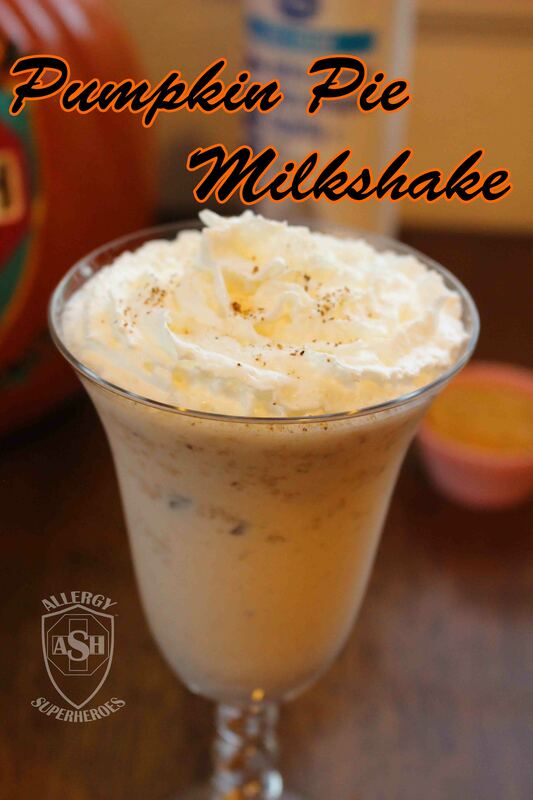 This milkshake brings the flavors of the season together in one delicious glass! Chop your Pumpkin Muffin into small chunks. Add spices (you can use 1/4 tsp pumpkin pie spice if you have it) and then cover with milk or milk substitute. Close blender and puree until smooth. 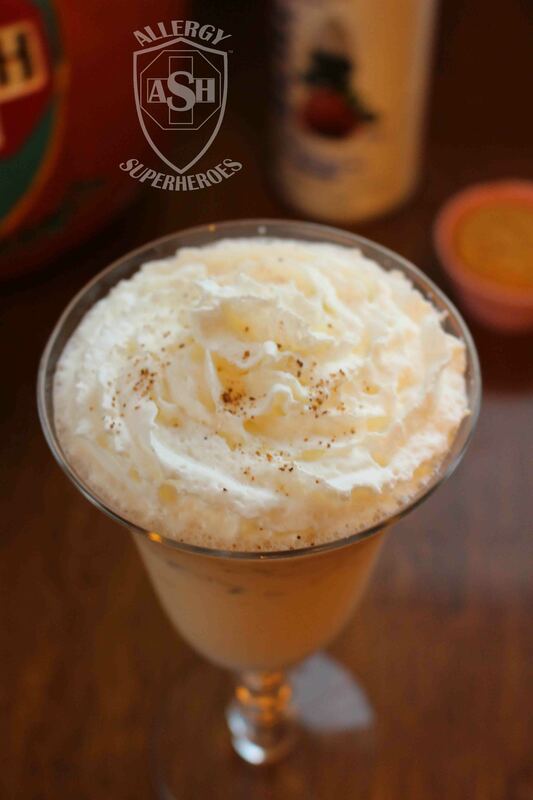 Pour into glasses and top with whipped topping and a sprinkle of nutmeg, if you desire. Enjoy! Contains dairy and corn. Optionally dairy free if using alternative ice creams and milks. Free from peanut, tree nut, egg, wheat/gluten, soy, fish, shellfish, and seeds. 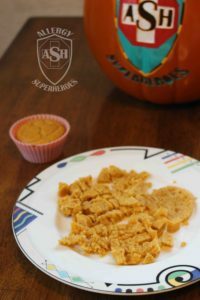 My leftover gluten-free pumpkin muffins worked really well for this! They were a little gummy, but that didn’t matter when they were encased in milk and ice cream! 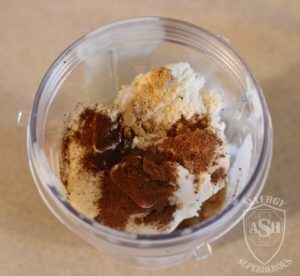 I’ve never purchased pumpkin pie spice because I figure I can make it myself. 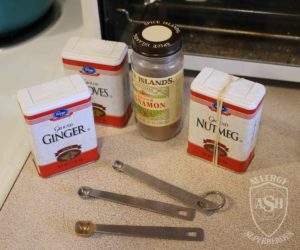 I love this little measuring spoon set hubby got me years ago, it works great for measuring small amounts. However, to make life simpler, just use 1/4 tsp Pumpkin Pie Spice if you have it. 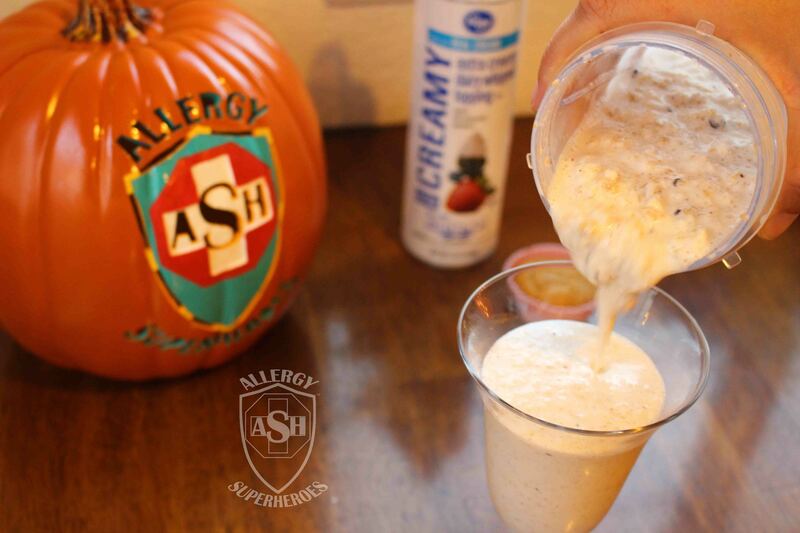 This is a delicious way to celebrate pumpkin season! Do you or your kids like milkshakes? ← Previous Previous post: Exciting Teal Pumpkin Products! Next → Next post: Teal Pumpkin Bucket and Enjoy Life Foods Flash Giveaway! Yum! The perfect way to make ice cream seasonally appropriate!